I'm linking up with Farley for this months low down! The Commonwealth Games are on overnight so all the events are replayed during the day. Australia is doing fabulously! Last month I posted that I needed some new boots and I got some. I have been wearing them at least 3 times a week - best of all they cost $12! There is always so much I put off until the weekend, but then the weekends just go by way too fast! I have had a cold for over a week now, and although it is better, I still want it to be finished, gone, and not come back! I have do many different things to do, but then spend too much time sitting on the couch doing nothing - I need to do something! Good luck to all those teachers who are heading back to work soon! I am also very excited to be sharing a new product with you. 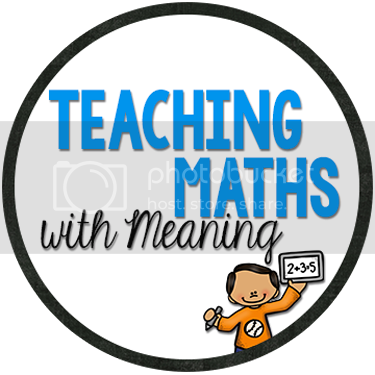 I have used so many aspects of this pack over the last few weeks as I have introduced my class to the Numbers 11 to 20. I really found I needed a sheet with two tens frames for each child. We use the tens frames at least twice a week for games etc. 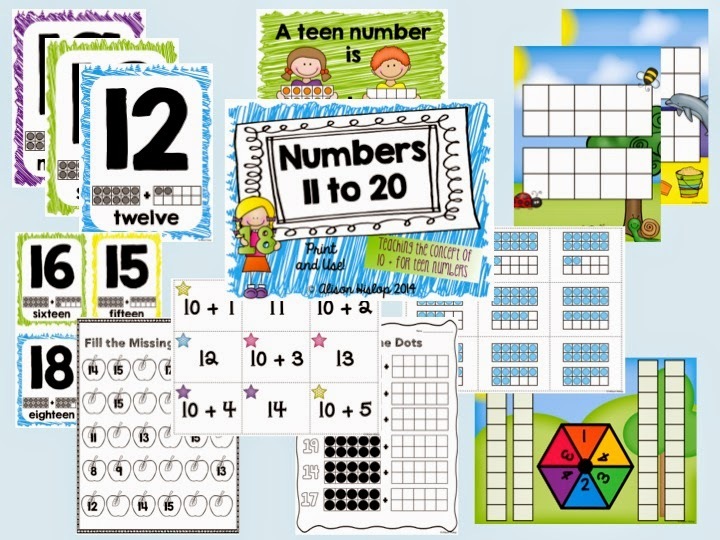 and I didn't want to keep handing out two tens frames to each child. 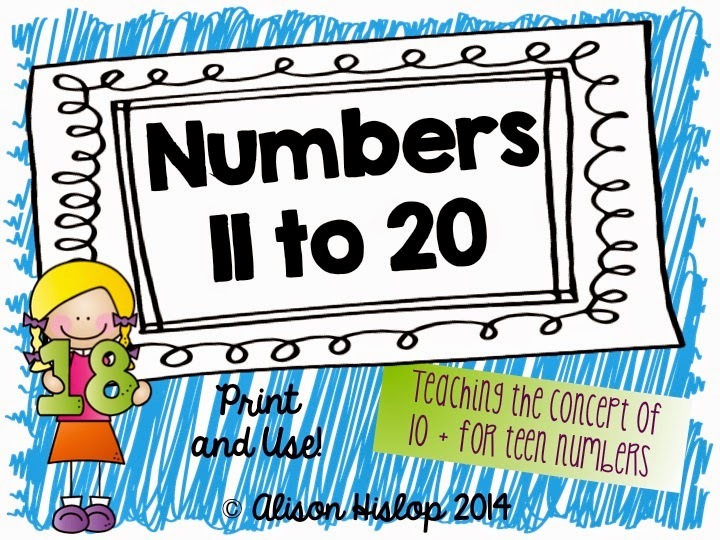 I also made up some flashcards with numbers 11 to 20 on them. My class are very competitive so love any chance to have a competition! This is one of my favourite posters that we used. 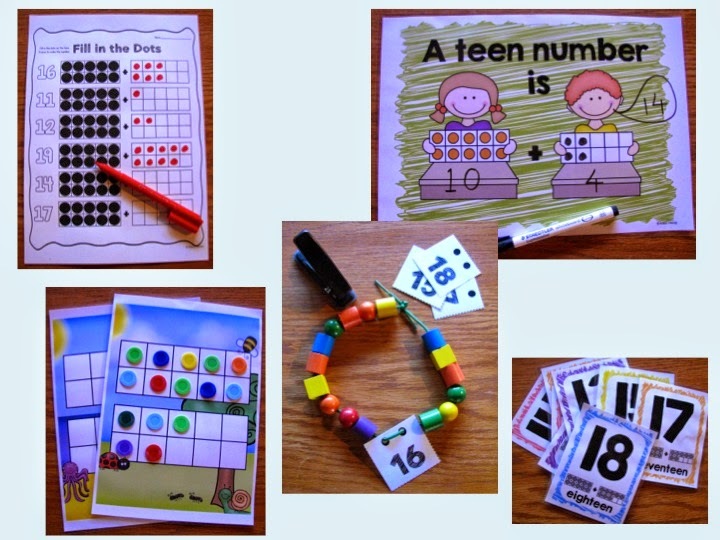 Use an erasable marker to draw the dots on the second teens frame and write the answer. 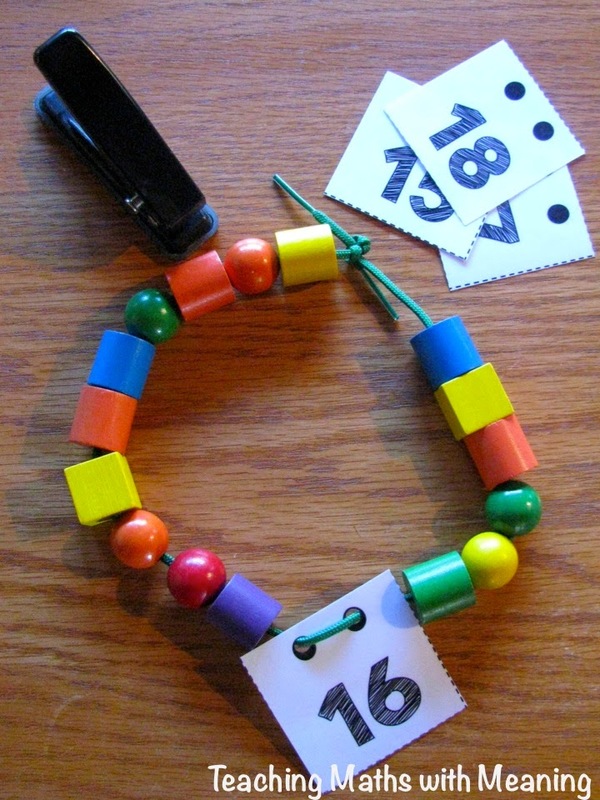 Children love any hands on tasks and I have a few kiddies who really need to practice their fine motor skills. These bead necklaces were perfect! Oh my gosh! Reading about winter things like boots and colds makes me so not ready for winter! Luckily, we still have a little summer and fall left before that happens! Summer has flown by! Boo! I love your new product and those posters are genius! Such a great idea! I might be a K/1 class this year..if I am, this is definitely going on my wish list! Glad you are on the mend Alison! I love that pack, wishlisting it now! It is always fun to read about teachers on the opposite side of the globe! I don't know why I still am caught off guard hearing about your weather while I am sweltering or vice versa. I am hoping your cold leaves soon. Colds are never fun. Best wishes as your year winds down. Seriously though, I hope that your cold goes away ASAP. If you're anything like me, the cold makes it even harder to want to get anything done. I cold can turn me in to the worst procrastinator! Don't forget to take time to rest, all of those things you've put off will be better done when you are feeling 100% again! Feel better! Love a good deal! Good find on the boots! What a bargain hunter you are...$12 for boots, what a score! I would love to be wearing me some boots right now. It has been triple digits everyday for over a week now. 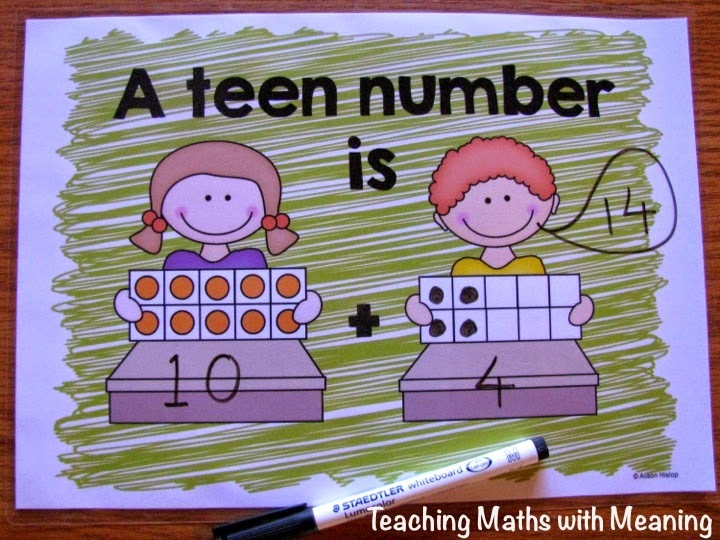 Super cute math sheets! 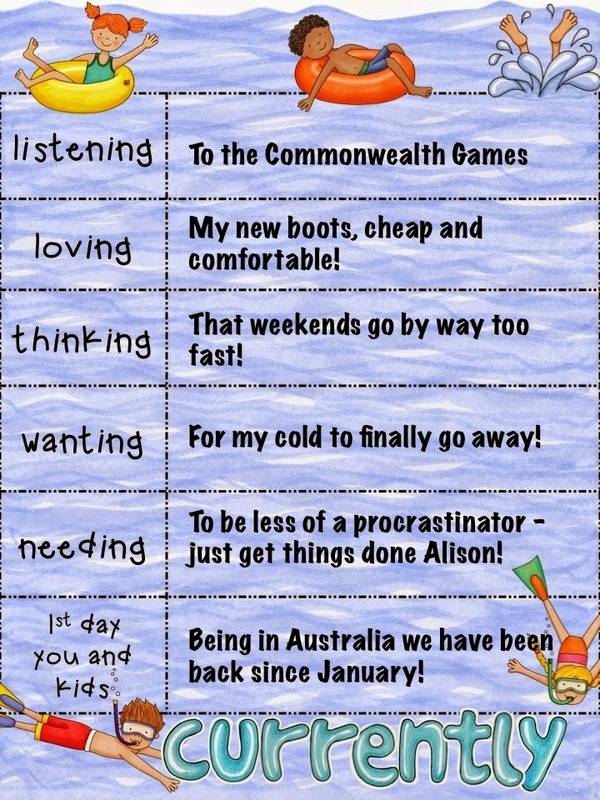 I am a procrastinator too, Alison. :) I often say to myself things like "Just focus on what you're doing Lauren!" If anyone ever overheard me I'm sure they'd think I was crazy!